ZERO 1 sigma Liquid Filling Machine | T.H.E.M. The ZERO 1 is a high performance, economical liquid filling machine. Its package length can be changed simply by changing seal bars, without altering the seal rollers themselves. Shape and width of the horizontal seal, including intricate seal patterns, can be changed simply by altering horizontal seal rollers without removing bearings at both ends. 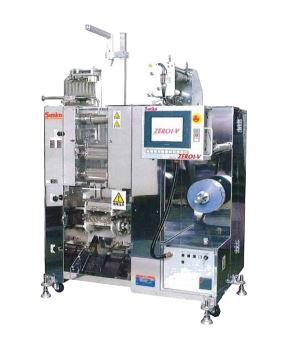 It includes a packaging speed of 30 to 600 packages per minute. A heater is built in the second horizontal sealing roll. 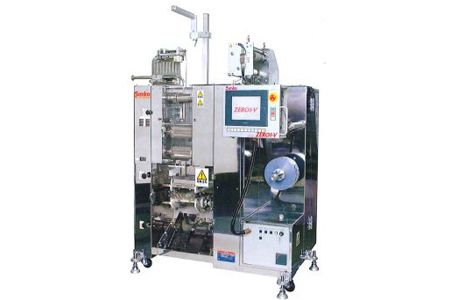 Therefore, material that is prone to generate bubbles, such as oil and vinegar, can be sealed in steadily, which enhances the performance and quality of the liquid filling machine, while also mitigating any potential complications.